Sara Bareilles, Rebel Wilson, and Tituss Burgess are on the starry bill. The live music (and live movie) performance has expanded to two June nights at the Hollywood Bowl. While many people are beginning to make beach plans, the kind of plans that rev up following Memorial Day Weekend, few probably guessed that their June trip to the ocean would involve a mermaid. And a beloved, plucky, thingamabob-collecting mermaid at that. It's Ariel we quite obviously refer to here, and her songs and stories are headed for a two-night run at the Hollywood Bowl on Friday, June 3 and Saturday, June 4. 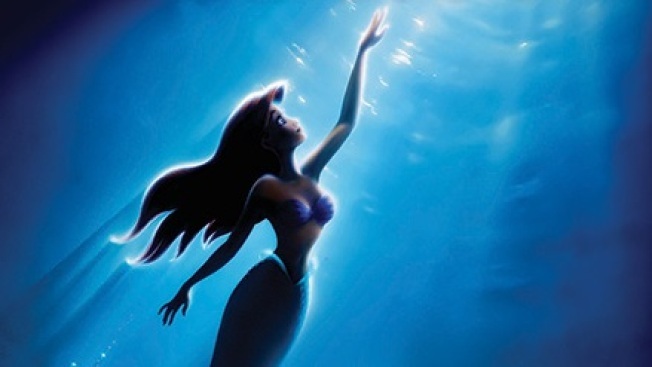 Are we talking about "The Little Mermaid", as in the ever-always-popular 1989 Disney movie? Yes, the animated classic will screen, but as a cinematic complement to a host of live performances happening concurrently with the film. Sara Bareilles will fill the shoes -- and, initially, tail -- of Ariel, while Rebel Wilson will take the inimitable role of Ursula. Darren Criss is the prince, Tituss Burgess is Sebastian, and Norm Lewis will star as King Triton. Who's Flounder? Why that's Joshua Colley, and John Stamos will play Sebastian's culinary nemesis, Chef Louis. With a starry bill like that, a sold-out show is expected. Or make that "shows," rather; Disney Concerts added the June 4 evening just hours after the June 4 performance was announced. Tickets go on sale for the Andrew Hewitt & Bill Silva Presents shows at 10 a.m. on Saturday, April 10. Mr. Alan Mencken, the composer for the film, will make a cameo, and a full orchestra and choir will lend the royal, ocean-to-land fairy tale oomph. Will there be fireworks? This is the Hollywood Bowl, and this is a Disney film and presentation, so a sparkly sky show should be expected. Will there be a costume contest? Again, Hollywood Bowl and Disney? There shall be outlandish outfits galore. But what duo is willing to dress as Flotsam and Jetsam? Somebody please go the fashion distance for Ursula's hissing hench-eels. If seeing live performances of Disney's animated hits is your thing, stay tuned: "Frozen" makes its Hyperion Theatre debut in August at Disney California Adventure. The movie will not play alongside, do note, but actors will take on the roles of Anna, Elsa, and all their pals.